Our goal is to honor the original method of Joseph H Pilates. To stay true the the classical method, analyse the fundamental concepts and to teach it intelligently are the In-depth of all our training programs. THE PILATES STANDARD MATWORK TRAINING PROGRAM consists of 100 hours and contains 4 modules. Intro Mat is the basis for all of our Training programs. Each program is built on the content of this course. In it you will learn 21 INTRO Level exercises on the Mat and become familiar with THE PILATES STANDARD teaching components (philosophy, teaching method, class structure). This course will improve your ability to teach people of any age or fitness level. You will learn 14 IDEAL Level exercises on the Mat and how to incorporate them into the INTRO Mat sequence. CHALLENGE MAT The focus of this course is on basic biomechanical principles, the complex Powerhouse Actions, and 12 CHALLENGE Level exercises on the Mat. Additionally, you will learn sophisticated variations and explore exercises from different angles and perspectives. CHALLENGE Mat focuses on teaching components, especially in the areas of cueing and flow, essential for cultivating the teaching skills in apparatus education as well. To become a Certified THE PILATES STANDARD Matwork instructor you must complete all four modules and pass the final exam. Then you are automatically listed on our website as a Pilates Mat teacher and eligible to teach. Should you fail on your first test, you can retest within a total of 3 months. 1st retest free within 1 month. 2nd retest fee= $100 within 2 months. 3rd retest fee= $100 within 3 months. It is a 9 month course with 450 – 600 practice hours required. The program contains exercises of all levels including exercises on Mat, Reformer, Cadillac, Chairs, Barrels, Ped-0-Pull and Magic Circle. This program can also be taken in an intensive over 15 days. Educational content of the Studio Apparatus training teaching of Pilates lessons to clients of any age or fitness level systematic planning of a lesson using all apparatuses using the Pilates principles in regard to: INTRO, IDEAL and CHALLENGE exercises Methodik und Didactics. 6 intensive weekends (1. FIRST TIMER level, 2. INTRO level, 3. IDEAL level, 4. IDEAL level, 5. Ideal Level and Anatomy/orthopedic foundation, 6. CHALLENGE level) 24 hours student meetings (mandatory) 450 – 600 observation hours in an affiliate studio of THE PILATES STANDARD or an approved studio (observation hours begin after the first weekend course) THE PILATES STANDARD reserves the right to decide number of observation hours required by each student. 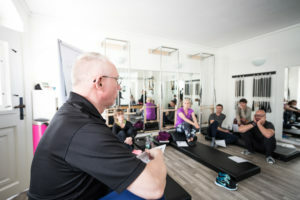 Attendance of at least 1 Pilates class per week (THE PILATES STANDARD can change the amount of trainings hours for each individual student) Teach one beginner lesson (in approved studio) During THE PILATES STANDARD studio apparatus training 450 – 600 observation hours are required before taking the final exam. The exact number varies from student to student depending on how the material is processed. Do not compare yourself with other students. After the first weekend you will begin observation hours. Please submit your hours to the studio in which you complete them. The duration of the course is 9 months. If the timeframe is extended, tuition may be raised by $150 / month. *Application of the Pilates principles in teaching the INTRO, IDEAL, and CHALLENGE level exercises. *A minimum of 25 sessions on the Pilates apparatuses taken in an affiliate studio of THE PILATES STANDARD or other approved studio. *During the Comprehensiveeducation you must complete 450-600 observation hours. 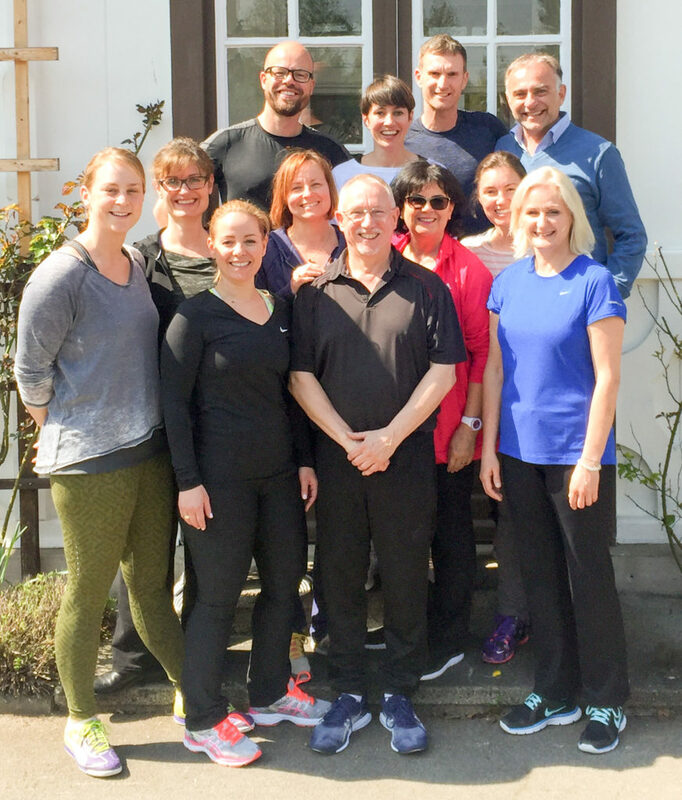 Upon passing the exam you will receive THE PILATES STANDARD Mat certificate. With it you are automatically listed on our website as a Pilates mat teacher and eligible to teach. How many CEC´s do I need? 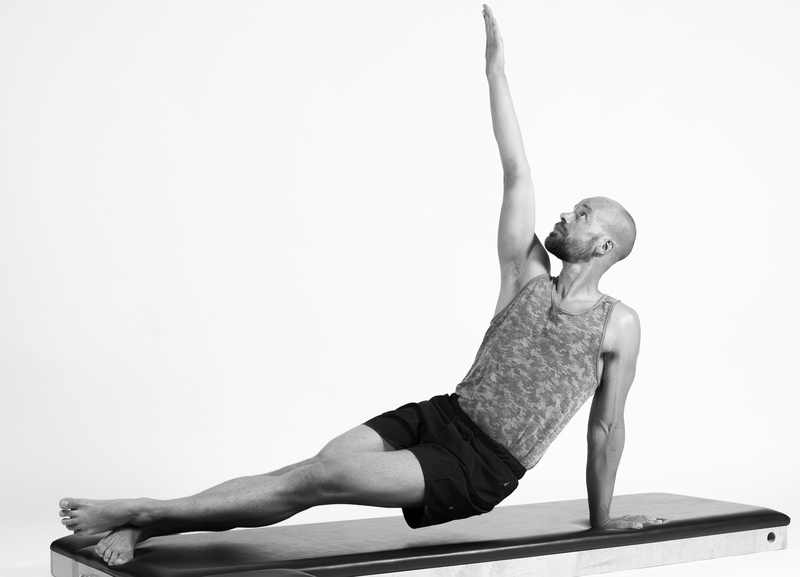 To uphold your Mat THE PILATES STANDARDcertificate. You should collect 8 CEC´s every second year. To uphold your Comprehensive THE PILATES STANDARD certificate. You should collect 15 CEC´s every second year. If YOU PARTICIPATED IN MORE THAN ONE PROGRAM You must earn credit for the most comprehensive program. Example: INTRO MAT and Comprehensive program, requires 15 credits every second years.